3002 speeds past Sevington in fine evening light on 3 June 2013 with the 9I49 16:56 Bruxelles Midi to St Pancras International service. This was my first visit to Kent since the Channel Tunnel Rail Link was completed. 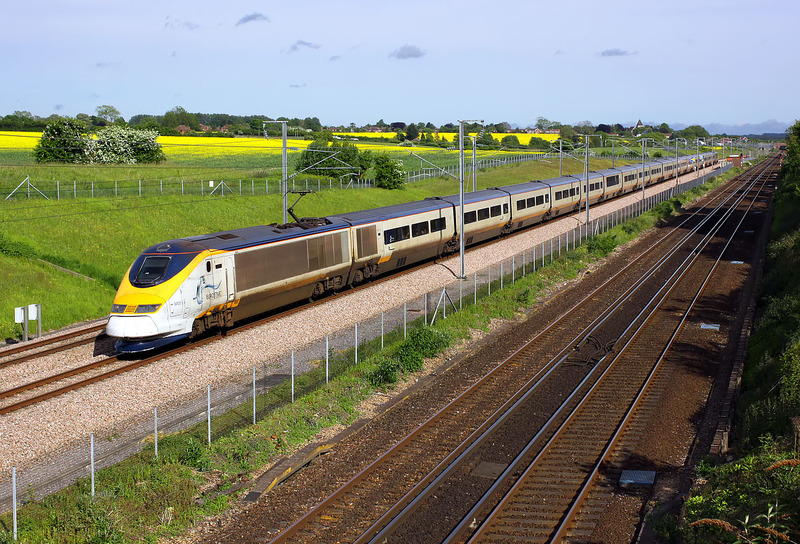 Ironically I already have a picture of this particular Eurostar set, just a little further to the west, over a decade earlier, and running on the 750V DC third rail.